The IIT Chicago-Kent faculty are a distinguished and diverse group of scholars, teachers, and practitioners. 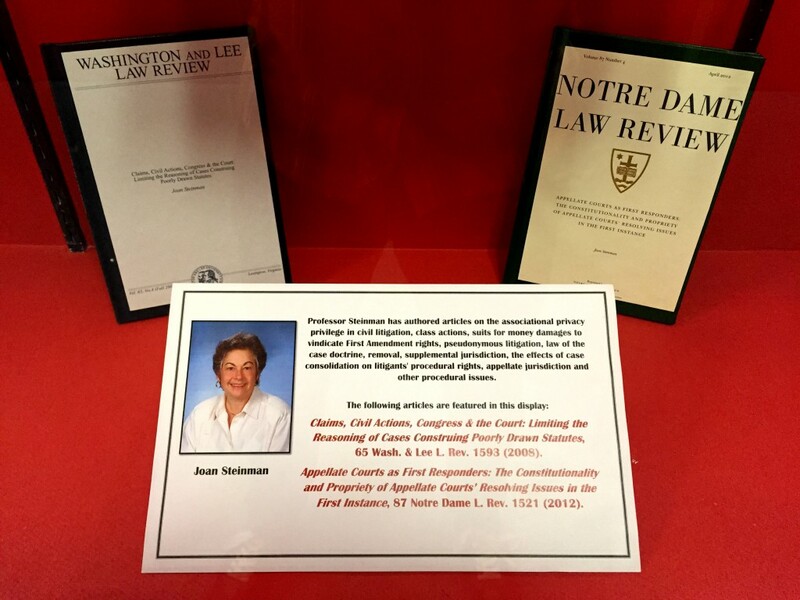 Our professors are situated at the forefront of their fields, and are published consistently in top-ranking law reviews on subjects that span the full spectrum of the law—from U.S. Supreme Court analysis to privacy rights to labor issues to the intersection of law and technology. 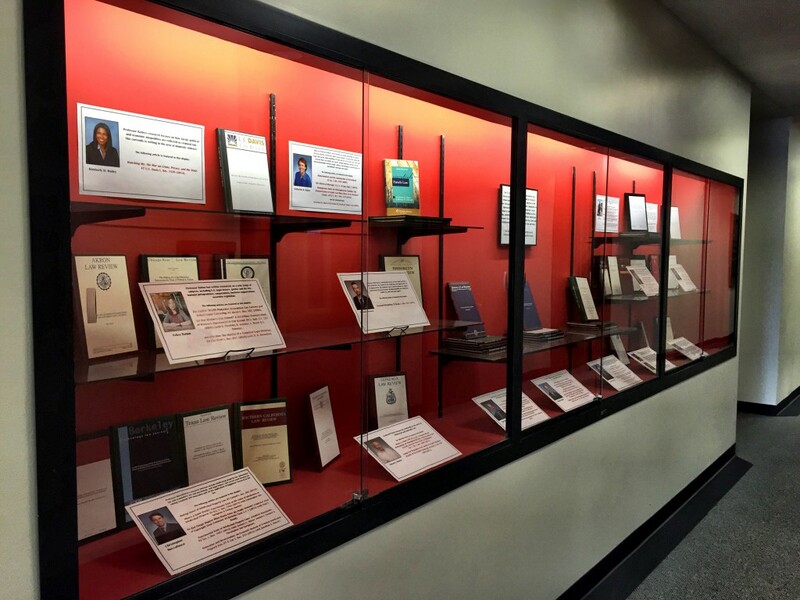 The Library has created a display on the 5th floor of the law school containing profiles and examples of their work to highlight recent scholarship produced by our prolific faculty. 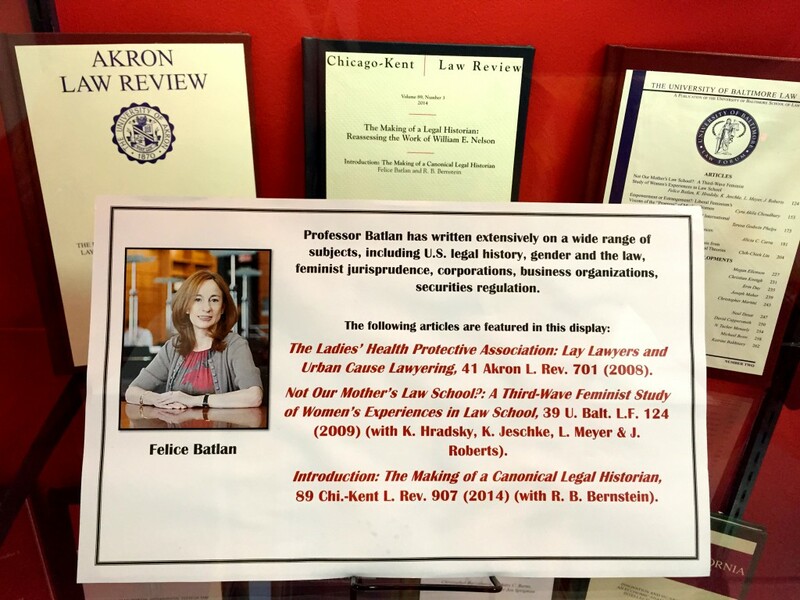 The faculty members highlighted in this display have produced important scholarship in their legal specialties and have helped maintain Chicago-Kent’s status as a leader in academic discourse. 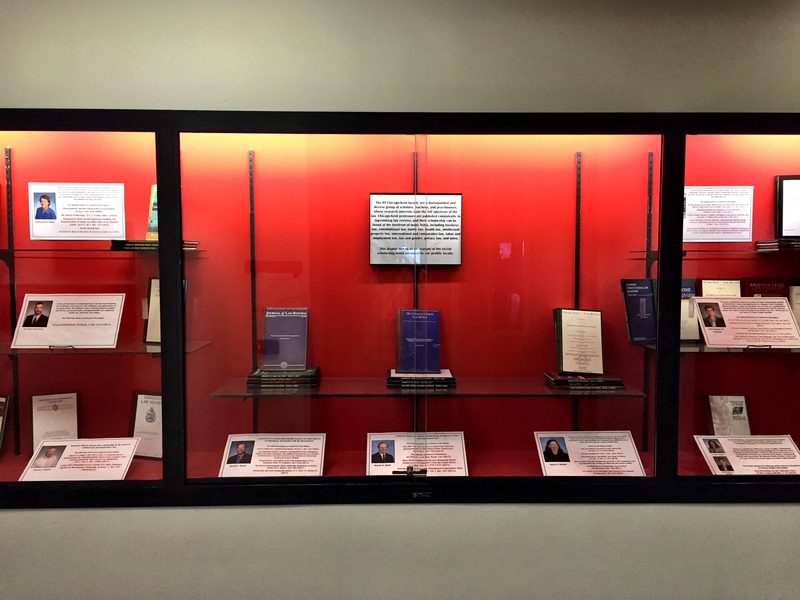 Stop by the display case opposite Room 570 (the Game Room) to see the full display! This entry was posted in Chicago-Kent and tagged Exhibits. Bookmark the permalink.